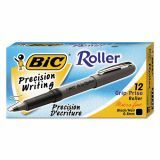 BIC Grip Stick Roller Ball Pen, Micro-Fine 0.5mm, Black Ink, Gray Barrel, Dozen - Grip Roller Pens combine the smooth, fluid writing of a marker with the tough durability of a ballpoint pen. Fast-drying ink delivers clean writing. Strong metal point is ideal for writing through carbons. Rubber grip provides writing comfort. Grip color indicates ink color. Clip on cap easily attaches to notebook. 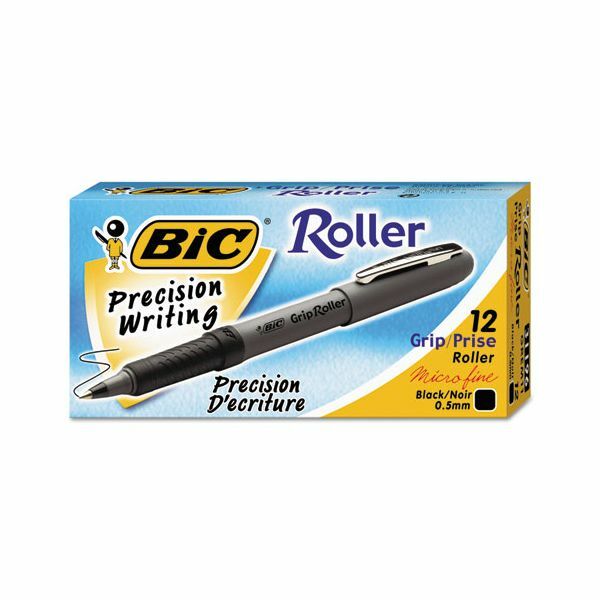 Roller pens are nonrefillable.